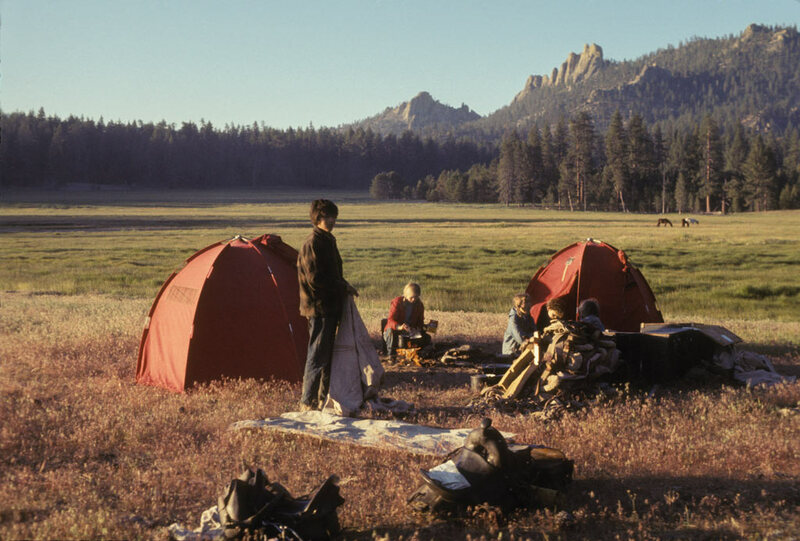 In 1969, San Francisco residents Barry and Bernice Murray checked their three children out of school and embarked on a trip they’d long been planning: a thru-ride of the Pacific Crest Trail. They set out from the southern terminus at the Mexican border on April 26, determined to ride the newly minted trail from Mexico to Canada. At that time, the trail, in many places, was not much more than a dotted line on a map. It took them two seasons to finish that epic journey. Bernadette Murray was 10 years old at the time they started. 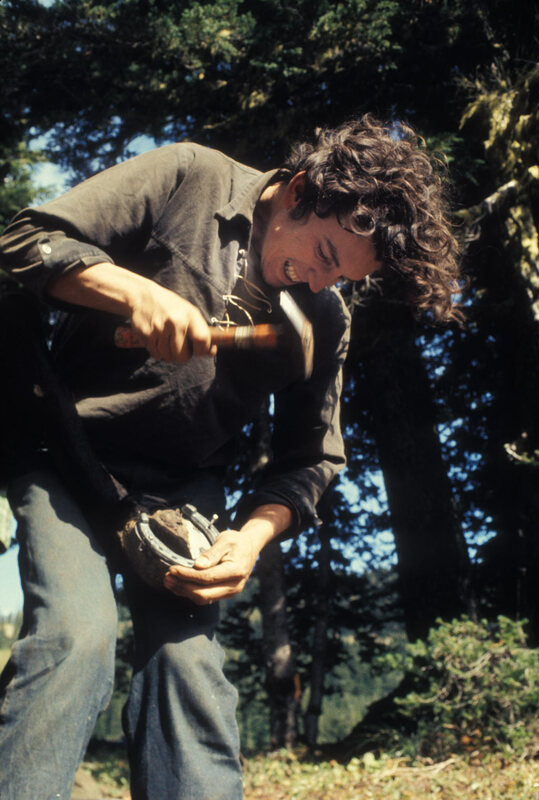 In the Fall issue of the PCT Communicator magazine, she tells the story of that adventure and shares with us some of the thousands of now wonderfully vintage Pacific Crest Trail photos her father took. Because we couldn’t fit them all in print, we offer up a few more here. Bernadette Murray’s story in the Communicator is a wonderful read. Not getting the magazine? Become a PCTA member to receive it four times a year plus get our stunning calendar. 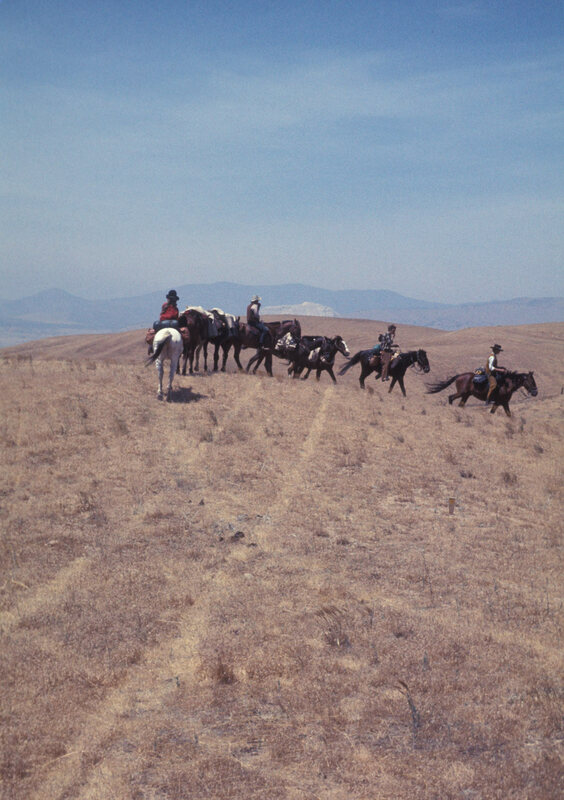 The Murray family sets off, riding across the southern grasslands of the Pacific Crest Trail in 1969. Truly, this was the era before the PCT existed in much of Southern California. 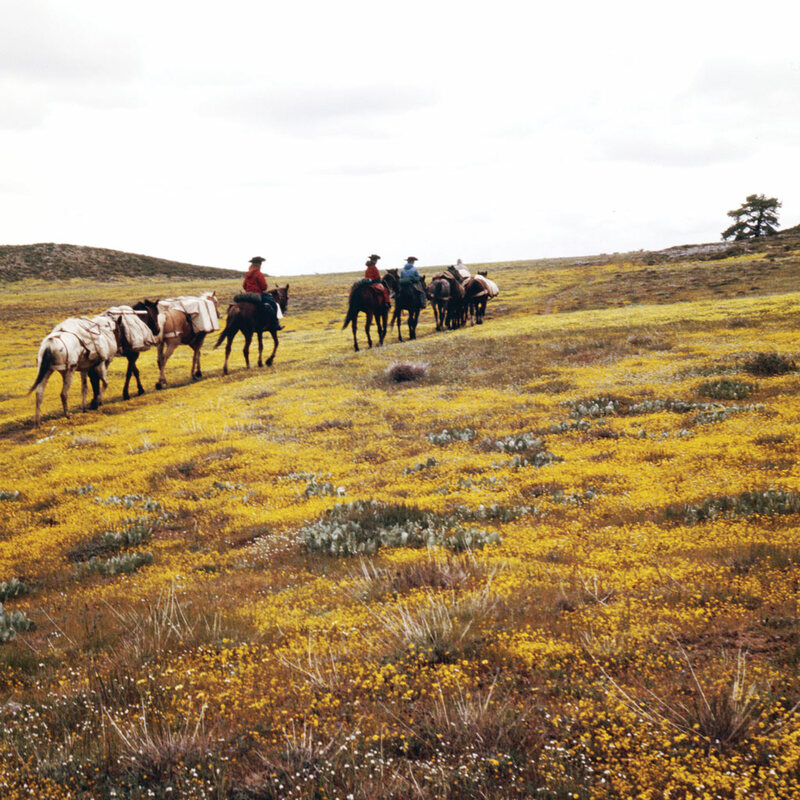 Wildflowers aplenty on the PCT in this vintage photo from the Murray family. 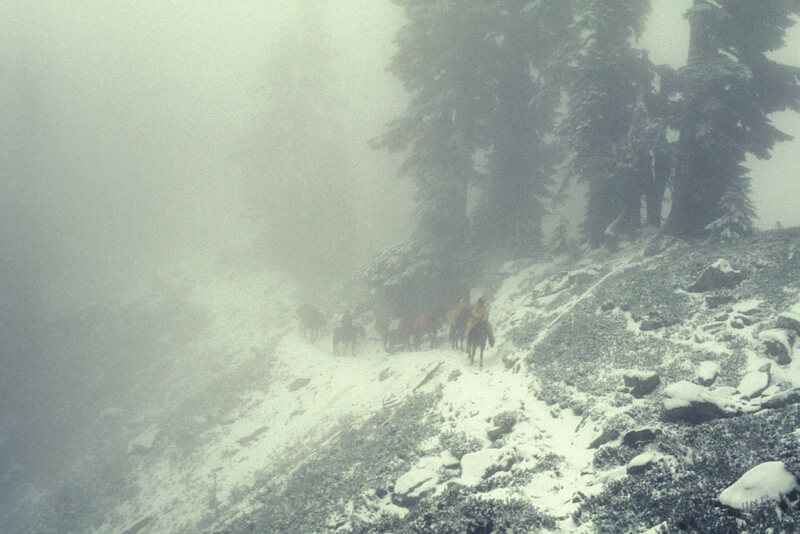 Camp life during their two season horseback ride along the Pacific Crest Trail. 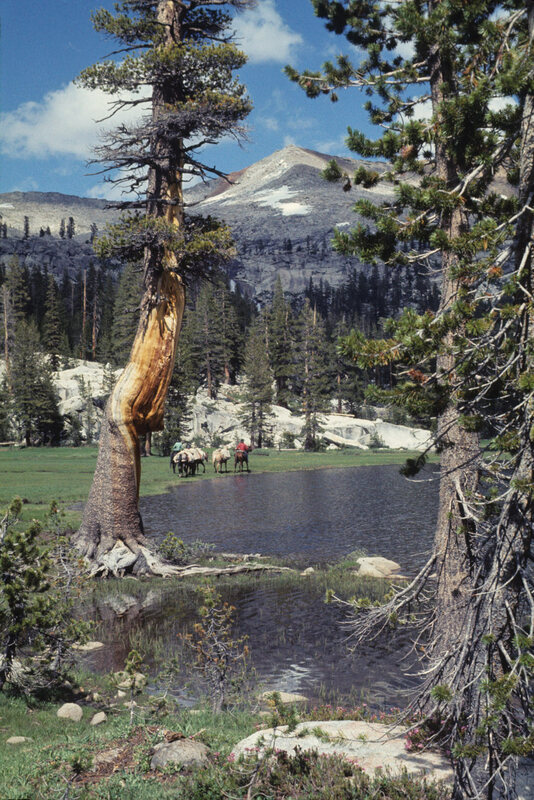 Watering the horses in the Sierra Nevada. 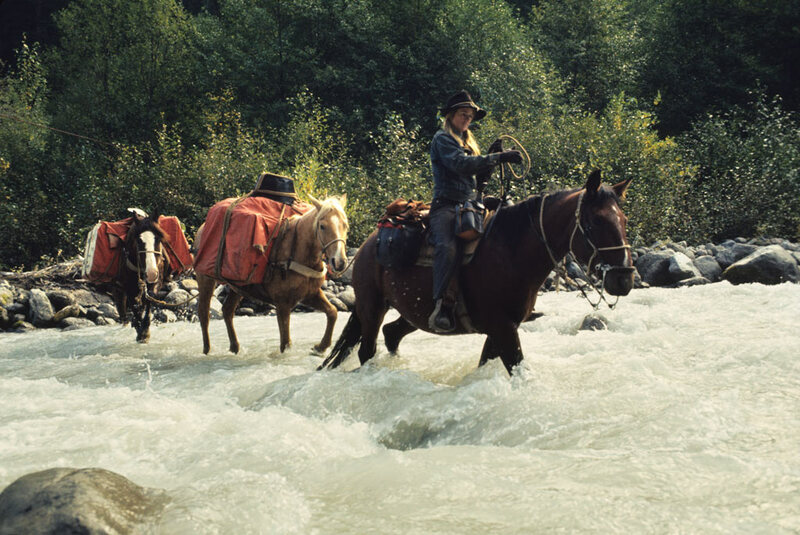 Crossing a stream with the packed horses was a frequent part of the adventure. The Murray’s horses needed to be re-shoed multiple times. 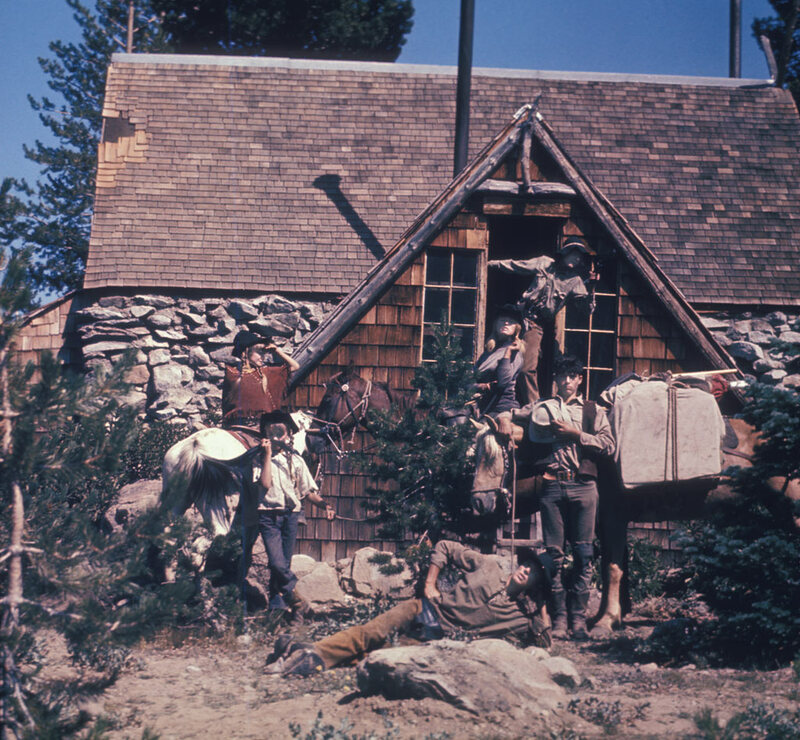 A vintage family portrait of the Murray family in front of the Peter Grubb Hut near Truckee, Calif. Riding north on a snowy day. 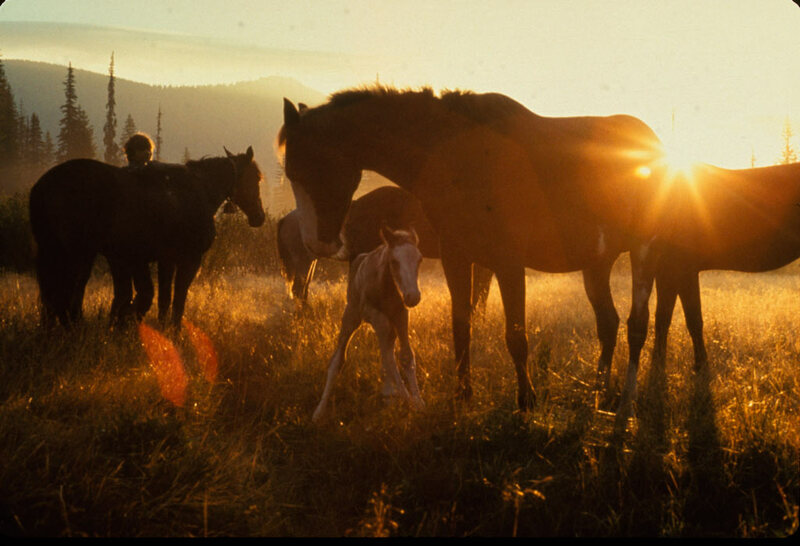 Tagalong, born on trail in Indian Heaven Wilderness, stands near her mother Crazy Daisy Mae. 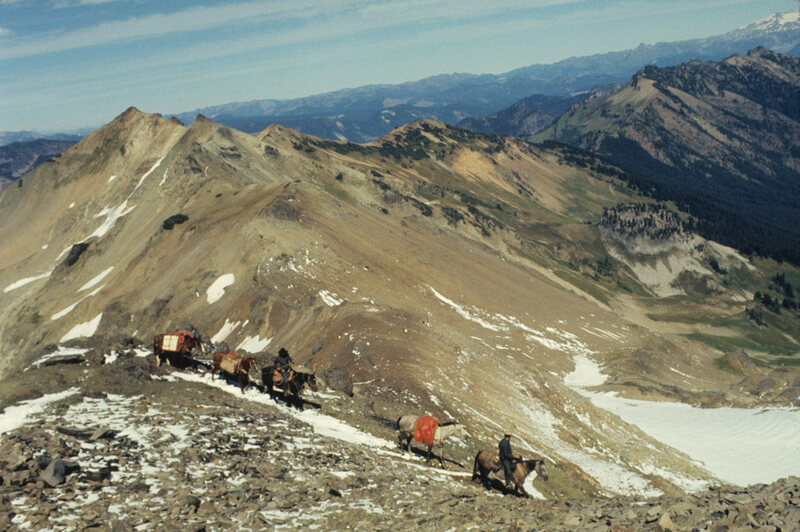 Riding their horses north through Goat Rocks Wilderness. 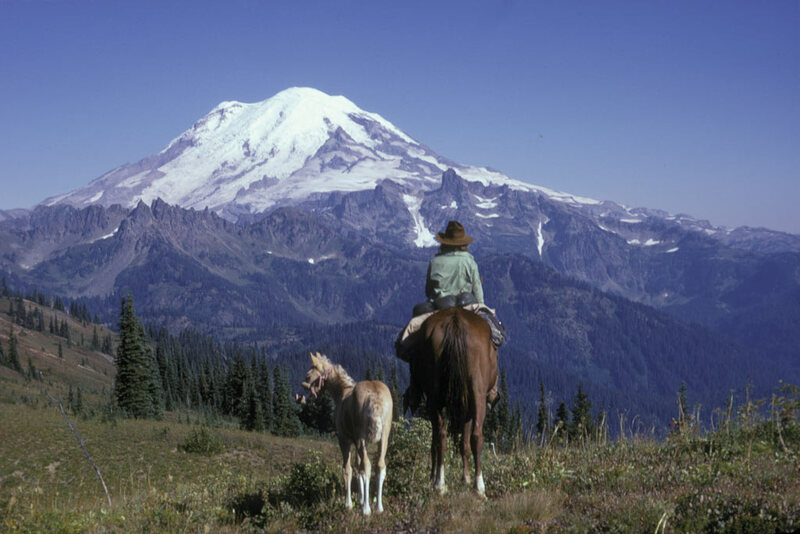 Today, this stretch is essentially impassable to horses and mules because the steep, eroding trail runs along cliffs.